Ask Mark Zuckerberg, and he’ll tell you “Facebook is not a media company.” So it’s especially peculiar that the company is now talking to video producers and TV studios about licensing shows, according to a new Recode report. Facebook is reportedly discussing the possibility of airing scripted shows, game shows, sports, and more—just like a cable news channel. According to the story, Facebook’s conversations with video creators are being led by Ricky Van Veen, co-founder of College Humor, who was hired earlier this year. This is the second major push Facebook has made to boost its video efforts. The company struck deals with several publishers (including Gizmodo Media, formerly known as Gawker Media) to produce live content exclusively for Facebook. Other publishers participating in the program included Vox Media, Buzzfeed, and the New York Times. The deals for some news agencies reportedly reached more than $1 million per year. In August, following a series of Gizmodo reports on the company’s growing influence over the news media, Zuckerberg told a room of students that the company was never to be compared to an actual media company. 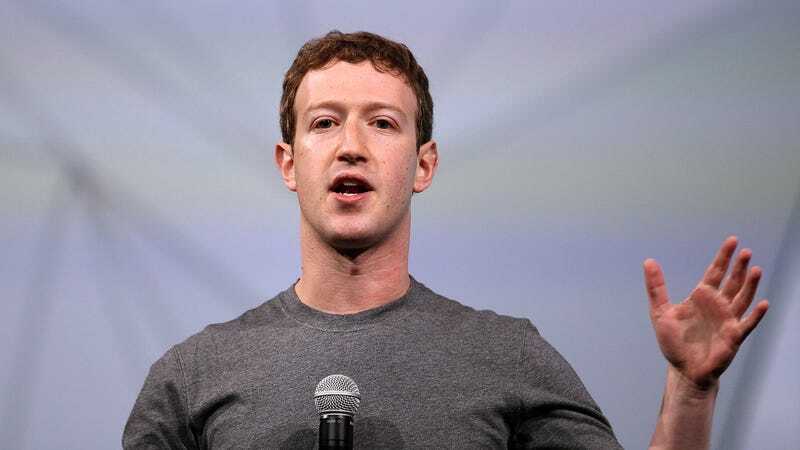 “No, we are a tech company, not a media company,” Zuckerberg said when asked by a student if he intended to become a news editor according to a Reuters report. What does one call a company that pays for the production of video content and distributes that content to over a billion users? Not a media company, apparently.